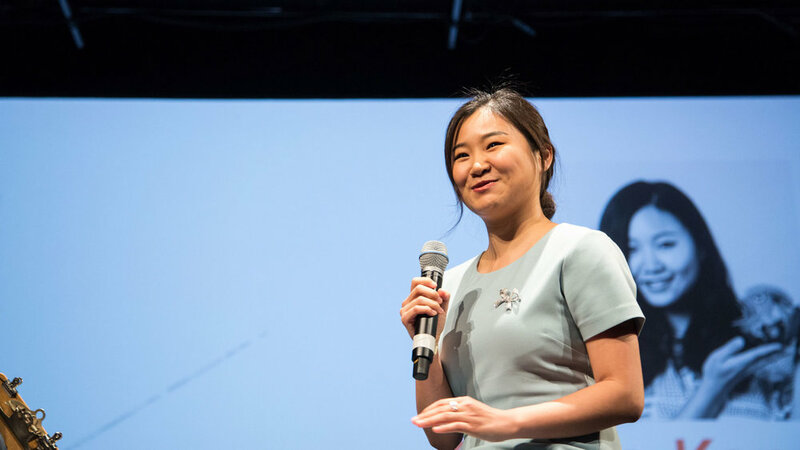 In her thesis, she designed a series of digital products that motivates children to play in an analog way in order to bridge the gap between the generations. Today, parents see their kids playing in ways that are different from when they were children. A research study at Boston University’s School of Medicine concluded that it is still unknown how digital technology will affect digital natives. This uncertainty is exacerbated by generation gap witnessed in the rapid growth of digital technology. Digital native is a new term that classifies people born during the age of digital technology. These digital natives can be fluent in “coding language,” and speak naturally to Siri and Alexa. Ten year-old children today are considered the first generation of “digital natives.” Their parents, most of who were born in the early 90s and earlier, are “digital immigrants.”—indeed, most of us are digital immigrants, including Gahee—immigrated from an analog to a digital world. In his article Digital Natives vs. Digital Immigrants, writer Jeff DeGraff discusses how using digital devices can change the way we think, work, and build relationships with others. This is just one example of research that suggests that digital technology is toxic to our children. Gahee mapped out other research about the negative influence of digital technology, as well as positive influences. We need to accept that we can’t just get rid of digital technology for this generation. We can re-use technology to create analog behavior for children. "When we look around, artificial intelligence is all around us—from self-driving cars and drones to virtual assistants," argues Gahee. "Going forward, this technology is only going to grow. The reality is that it is our choice to best use all of these bad and good aspects of digital technology. We need to accept that we can’t just get rid of digital technology for this generation. We can re-use technology to create analog behavior for children." Gahee thought of ways to tweak our current approach to modern technology, and make the overall experience better—especially for children. In her thesis, she designed a series of digital products that motivates children to play in an analog way in order to bridge the gap between the generations. Scuba Scape is a pair of augmented-reality swim goggles that attach to any scuba mask. Children wear the mask while swimming in a pool, and the device projects a view of ocean life. Content-wise, users can download a variety of games. For example, below is a walk-through of how the game Treasure Hunter works with Scuba Scape. First, users choose a region of water that they wish to explore. They are then presented with a list of wildlife specific to that region. Users select a specific animal from the list, and are then told a story about it—all while they are swimming and “hunting” around. The game can also teach children about environmental issues, such as dying coral reefs and endangered species. Thanks to Scuba Scape, children can learn about certain ecosystems through hands-on experience, and also partake in a robust physical activity. Ola is intended to shift children away from texting, to expressing their thoughts through drawings and handwritten messages. The simple act of drawing does indeed play an important role in a child's physical, emotional and cognitive development. Unlike any other activity, drawing allows young children to express emotions, experience autonomy, and build confidence. When young kids draw or write with their hands instead of typing on a screen, they can free themselves from the typing format and develop a unique way to express their thoughts. Ola is a messaging tool that combines drawing and messaging. Designed for kids aged seven and above, this device prints a message from a parent or guardian on a piece of paper. The recipient—the child—receives the message and then responds by drawing and writing with their hands. Ola is intended to shift children away from texting, to expressing their thoughts through drawings and handwritten messages. "I wanted children to not only be viewers, but also the creators of the images they would see in VR simulations." When children are in Virtual Reality (VR) environments, they often see shapes and characters that are generated by computers—but designed by adults. Gahee wanted to reverse this. "I wanted children to not only be viewers but also the creators of the images they would see in VR simulations." In collaboration with game designer JaeHyun Kim, and a partnership with the Children’s Museum of Art, Gahee developed If I Ride VR—a VR workshop. Combining the joy and tactility of hands-on creation with the digital wonder of VR, If I Ride VR guides participants through a fun-filled craft session. The workshop seeks to bridge physical and digital creativity, all while teaching kids about marine ecology. The purpose is to encourage children to complete analog activities through digital inputs. In this case, Gahee uses VR as a digital tool to foster creativity. With a 360-degree camera, Gahee and Jaehyun digitized a "magical box with characters and shapes" that the children built with their hands. Then, the kids use a stationary bicycle to navigate this digitized world, participating in physical activity while wearing the VR goggles. "Instead of clicking with a computer mouse, the children have to pedal in order to move through the VR simulation," they offer. "When the bike wheel passes the sensor, it creates a forward motion in the VR software—Unity 3D." "Instead of clicking with a computer mouse, the children have to pedal in order to move through the VR simulation." The learning doesn’t stop after the workshop. As a takeaway, children get Augmented Reality (AR) stickers. Children fill attempt to fill up the sticker board, taking action to help marine animals and climate change. If children eat less meat, for example, they fill in that sticker spot as a prize. When they collect every sticker, they can open the app and use Google cardboard to see their sticker board. When the app detects the image of the completed sticker board, a 3D image pops up as a reward. "Here, children can see what will happen when they take real actions in the real world," the designers maintain. Gahee imagined an app that encourages children to complete more analog activities—aiming for something would not only be addictive, but would also create proactive behaviors—all through utilizing the capability of digital technology. "Angry Birds—rated the most popular app for years—doesn't make children healthier in any way," say Gahee. "Also, many educational videos for kids only require passive behaviors—since the only required actions are sitting and watching (with the hope that some information is retained)." Mission Fun-Possible is an application that encourages children to do analog activities off-screen by providing “missions” on-screen. The app motivates children to be attracted to analog activities by employing reward systems, timing systems, and the capability to share with the online community. "For example, the app invites creative thinking by asking children to make their own shower song. The app also asks questions that lead children to think and say their answer out aloud." Learn more about Gahee Kang’s work at gaheekang.com, and contact her at gaheekang[at]gmail[dot]com.